Finland has not had diplomats in Baghdad since 1991. Since 2016 Finland has handled diplomatic matters relating to Iraq via an ambassador in Helsinki. Finland will open an embassy in the Iraqi capital of Baghdad for the first time in close to three decades, the Finnish Ministry for Foreign Affairs announced on Thursday. Finland has not had diplomats in Baghdad since 1991. Finland has had a travelling ambassador handling Iraqi affairs from Helsinki since 2016. According to Foreign Minister Timo Soini, there’s a large Iraqi diaspora in Finland, which means that cooperation between Iraq and Finland is growing. 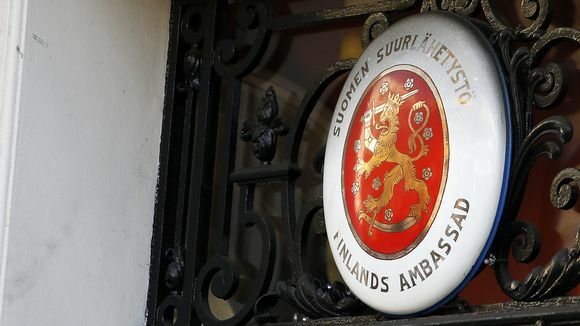 "The issue of returning rejected asylum seekers [from Finland to Iraq] is also on the agenda of bilateral relations between Finland and Iraq," said Soini in a press release on Thursday. The opening of the Finnish delegation in Baghdad is also intended to promote the development of bilateral relations and commercial cooperation, the ministry said. In the government’s new budget proposal announced earlier this week it was decided that there should be more emphasis on the Foreign Ministry’s foreign representation and promotion of trade abroad. The ministry’s proposed operational budget for 2019 will be 224.8 million euros.